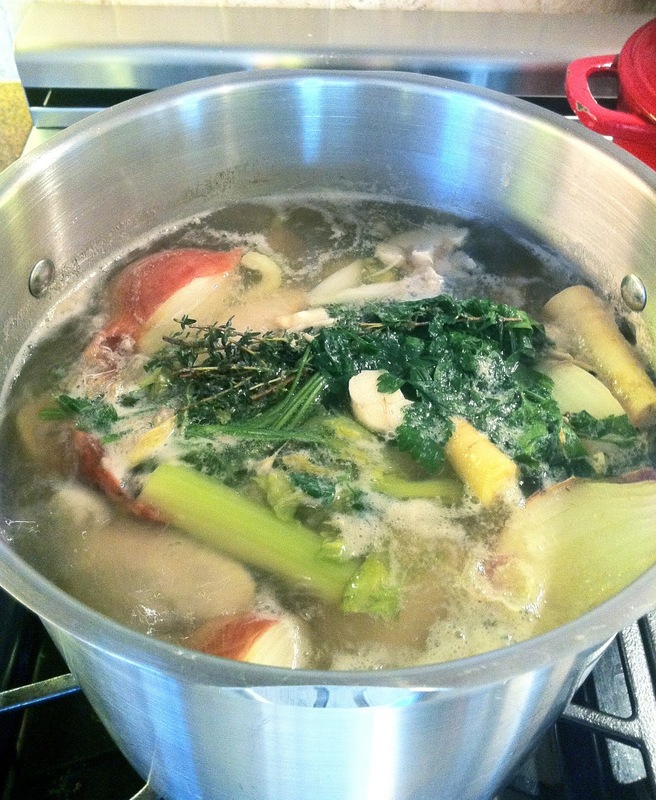 Place the chickens, onions, carrots, celery, parsnips, parsley, thyme, dill*, garlic, and seasonings in a large stockpot. Add 4 quarts of water and bring to a boil. Simmer, uncovered, for 4 hours. The next day, remove the surface fat. Use immediately or pack in containers and freeze for up to 3 months. *I tied/bundled my herbs, but it is not necessary as everything will be drained once cooked. Because it's not necessary to peel any of the veggies, prep time is about 3-5 minutes...from that point, you just wait. So worth it for fresh, preservative-free, sugar-free (yes, there is sugar in stock...see "dextrose") chicken stock. And, in addition to this tasty stock, I'll have two fully cooked, moist chickens with which I can create Curried-Chicken Salad (recipe to come), Chicken Hash (recipe to come), among many other options.